So you have your website live, you’ve provided awesome content which has gained you followers and subscribers, now you need to make sure you keep them reading by way of email….Perhaps you’re spending a lot of time each week crafting emails to your subscribers, but none of that will do you any good if you don’t have a decent delivery rate. 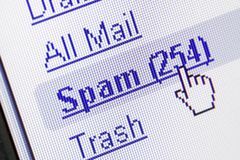 If those emails land in your potential customers’ spam folders, you don’t have much of a chance of making a sale or building a relationship with them. Many Internet entrepreneurs start out building their business on the side. They have a regular job, a busy life, lots of personal and business commitments, and very little time to work on building their list. If this sounds familiar, you will appreciate what you're about to read. 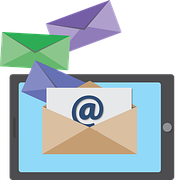 The following tips for getting more email list subscribers can be rolled out quickly, most of them in 5 minutes or less. Give them a try! 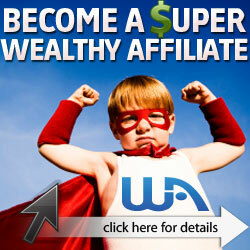 This is super simple, and can be set up with most email programs in a couple of minutes. Now every email you send out as a chance of adding someone to your list. Check your Google Analytics to find your most popular post. Copy that URL. Head over to PrintFriendly.com. Paste your blog post's URL into the "Print Preview" section at the top of the page. Click the "PDF" button, and then click "Download”. That's it. You have just created an opt-in bribe in about 30 seconds. On your business's Facebook page, click the "Create Call to Action" button. Choose the "Sign Up" button. Link to your opt-in page. Your call to action button text should be written in the first person. "Start My Free Trial" always pulls better than "Start Free Trial" or "Start Your Free Trial". Adding an exit-intent pop-up to your landing page can improve conversions and sign-ups considerably. There are plenty of WordPress pop-up plug-ins that are free to use. Social proof is an outstanding way to build your email list. Put at least one great testimonial above the fold, and make it noticeable. This simple move can increase conversions substantially. Clean up your website. Remove bothersome distractions. A simple, clean, clutter-free website allows you to direct your reader's attention wherever you want to, in this case, to your opt-in form. Mailchimp Mailchimp has a range of features to create, manage and deliver emails and auto responders. Customise the perfect email for your business. They offer advanced reporting features you can access anywhere. Monitor sales and website activity with revenue reports. Use “foreshadowing” in your messages. For example, toward the end of your current broadcast email, mention that they can look for another email from you next Tuesday. Once you’ve set those expectations do what you can to meet them, do your best to keep your promise and email when your readers expect it. Clean up your list regularly. If subscribers haven’t been opening your emails for the past six months, chances are good they are no longer interested in what you have to offer. Check your auto responder services manual or help files to see how you can go about deleting anyone that hasn’t opened an email from you in the past six months. If that freaks you out, or you have a seasonal business, start by deleting anyone that hasn’t looked at your emails in the past year.